A federal judge on Thursday lifted her injunction barring the main contractor for U.S. Air Force national security launches from buying Russian rocket engines, after U.S. officials assured her that the purchases didn't violate sanctions against Russian officials. 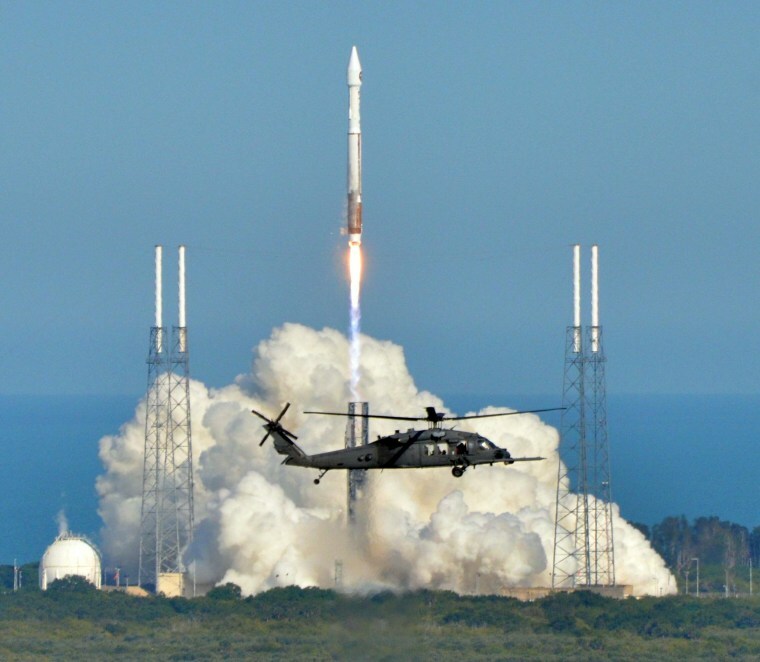 Judge Susan Braden of the U.S. Court of Federal Claims issued the injunction a week ago after questions were raised about an Air Force deal to buy billions of dollars' worth of rocket hardware from United Launch Alliance for future launches. United Launch Alliance's main competitor, SpaceX, challenged the deal in Braden's court. In its lawsuit, SpaceX noted that United Launch Alliance's Atlas 5 rocket uses RD-180 engines purchased from a Russian state-controlled company called NPO Energomash. Because Russian Deputy Prime Minister Dmitry Rogozin is in charge of the country's space effort, SpaceX questioned whether the engine purchases violated U.S. sanctions that were levied against Rogozin and other Russian officials in the wake of the Ukraine crisis. Braden ordered the ban on further purchases unless U.S. officials could assure her that they didn't violate the sanctions — and officials from the Treasury, State and Commerce Departments provided such assurances this week. As a result, Braden lifted the injunction but told federal officials to "inform the court immediately" if they received any indication that the purchases would run counter to sanctions. In a statement, United Launch Alliance complained that SpaceX's actions were "self-serving, irresponsible and have threatened the U.S.’s involvement with the International Space Station and other companies and projects working with Russian state entities." “We continue to hope that SpaceX will revisit its underlying lawsuit and the merits of its case," United Launch Alliance said. SpaceX, however, is expected to press on with its challenge to the Air Force's "block-buy" deal with United Launch Alliance. Read the judge's ruling, plus background material.